It's a new year and a new start to our fundraising efforts this year. Tonia has had a difficult time in the UK for the last few months. 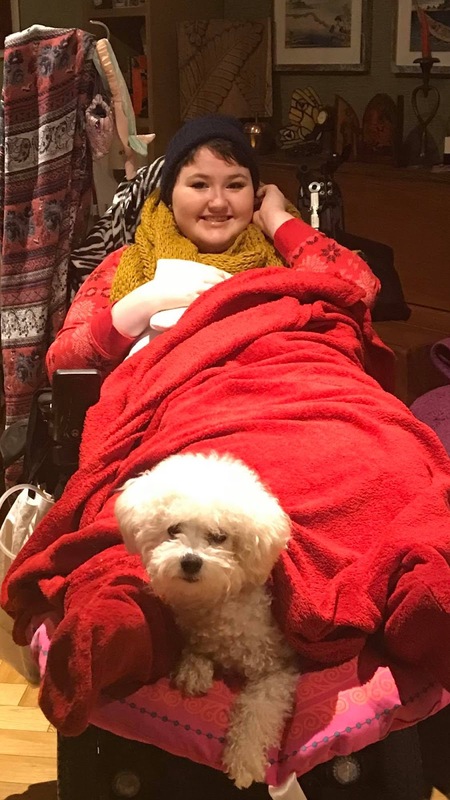 Her treatment has not been up to scratch unfortunately but, despite many setbacks, Tonia is a determined young lady and is fighting her corner to get well and to get the treatment she needs in the UK. Unfortunately, Tonia will need another operation. We knew this was likely at the time of the last operation but it has recently been confirmed by a specialist in the UK. The operation, like last time, is not performed in the UK. This means that Tonia needs to raise the finance to be able to go back to the Teknon clinic in Barcelona, Spain. At the time of writing, we've reached £120,516 which is amazing. However, we need to get to £200,000 to cover the additional costs of surgery and rehab. So that's just £79,500 we need to raise in the next few months. We know it's a huge ask. And we know that Tonia isn't the only one who needs private health care. And we know she's not the only one suffering with these serious health conditions due to EDS (Ehlers Danlos Syndrome). If you care to donate, you can do that here on Tonia's Justgiving page. All funds are raised via the charity Just4Children, who then pay the medical fees out of the monies raised. To read up more about Tonia's progress, her Mum, Victoria, is posting regular updates from her Facebook page here.